We’re here! Today was Daddy’s first day of work at his new job. What a whirlwind move it has been! In-town moves are eventful enough. Cross-state moves are a whole ‘nother breed, especially if you only have three weeks to make it happen. Fhew. 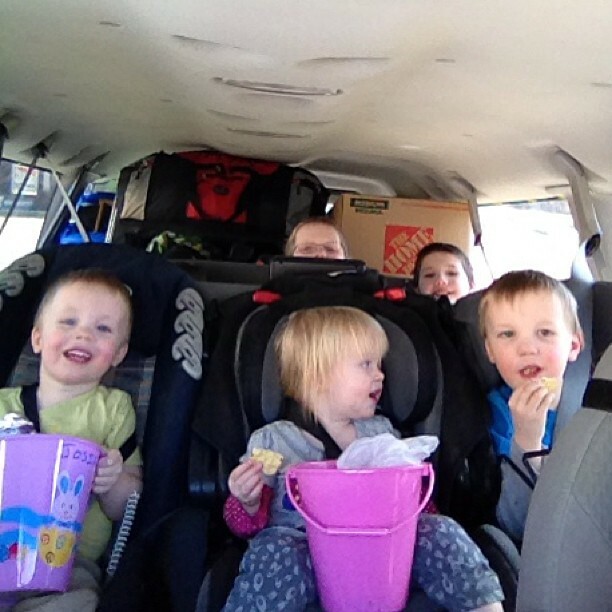 One of the ladies from church gave them Easter buckets full of snacks and activities to do in the car. We were packed to the gills! It definitely helped. 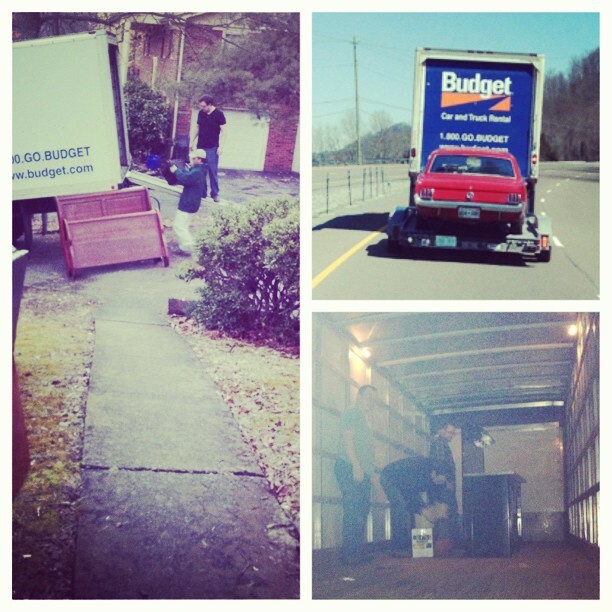 This move would not have happened without our friends and family in both states. I’m not sure which side I feel sorrier for- the group that had to play Tetris with the furniture to get it all in the truck, or the guys who had to carry box after heavy box of books to the third story in the new house. So grateful for everyone who was involved. 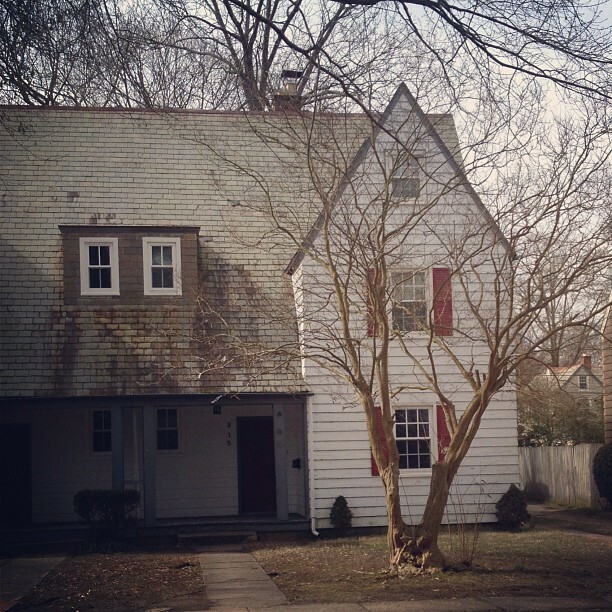 Our new house is located in a historic neighborhood. We didn’t really know what this meant at first- the house itself almost seemed too good to be true. The other options in our price range seemed absolutely unbearable- not located in good area or too small or too far from where James worked. When we found this one and had close friends check it out, they were unanimous in their recommendation that we rent it. It’s a beautiful old duplex house built in 1918. It has plaster walls and nooks and crannies- all which have been named already by the children and friends (the Harry Potter closet, the Cinderella room). And it’s huge. 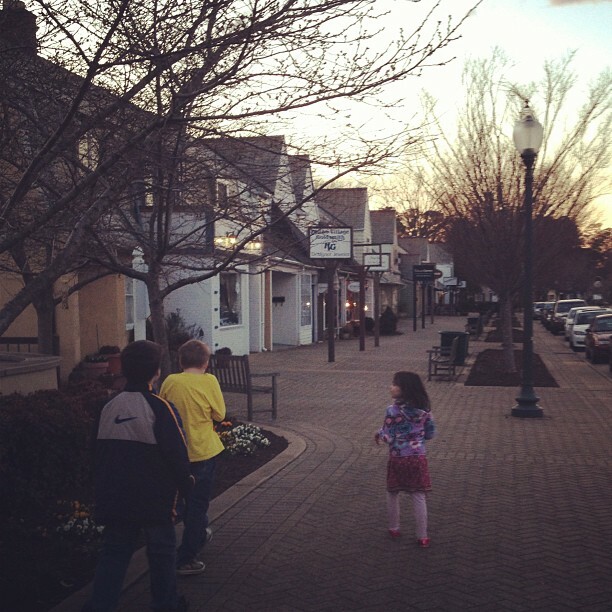 The whole neighborhood brings to mind the Sound of Music set, and has the friendliness to match. It’s full of young families and older couples and so very walkable. We see all sorts of people walking by with their dogs or children. Kids ride their bikes unsupervised around the block. It’s that kind of neighborhood. 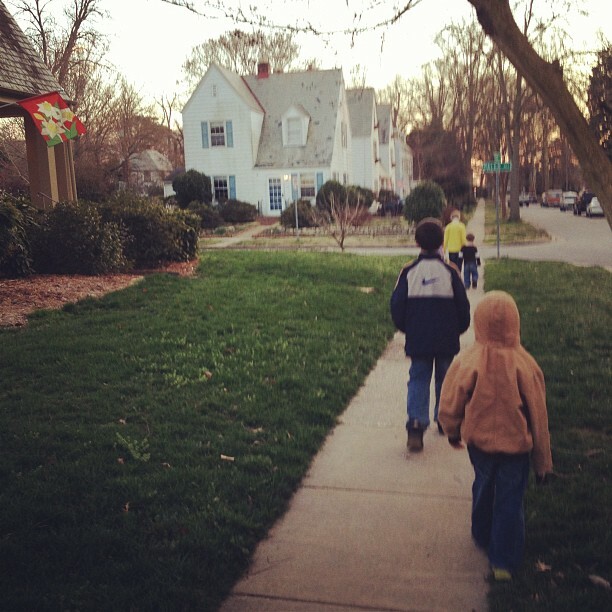 We’ve already begun a new family tradition- an after dinner walk. We’ll probably add in a morning walk soon. It’s like a veritable treasure hunt. We’ve found a tiny park and a fishing pier behind the elementary school, and half a dozen houses to have fairytale imaginings about. One day we walked the opposite direction and discovered to our delight the village shops- because this neighborhood is one of those historic neighborhoods. It has a bakery and coffee shop, a few restaurants, and perhaps most importantly- a scrap booking shop. I can’t decide if that is a good thing or a very dangerous thing or a bit of both… Far and away our favoritest favorite favorite part of the neighborhood? The library that we can walk to. Yes, you read that right. For a family that up until this point had to drive thirty to forty five minutes to find a library (a family of voracious readers at that), this is almost unbelievable, pinch-yourself amazingness. It also has a lovely children’s section. 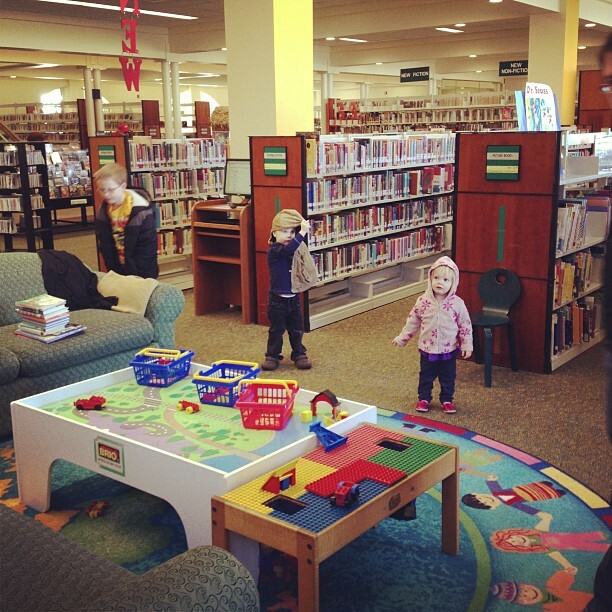 Did I mention that this is only one of eighteen libraries in the area and it’s the same size as the one library in our old town? Bookworm heaven. I really try not to gush about the library but I can’t help it. What a gift! We’re still adjusting. The house is mostly unpacked save the master bedroom and office. The children and I are back in the books after a month off for moving. (And somehow third and first grader have forgotten everything they ever knew about math. Sigh.) We’ve gotten lost a few times, as is proper for any new adventure. (Apple Maps are not your friend in metro areas, just saying.) Its a huge, beautiful, wonderful transition. Where did you guys move to?